« The mother of all demos! If you’ve running Windows 2000 or XP and you’ve got any Office 2007 product on your machine you’ll notice that when you press Windows Key + F or right click on a folder to and select search, that you’re presented with Windows Desktop search – and out of the box if you try and search for things you can’t find ANYTHING. Why? Well, because it hasn’t been indexed and indexing on your hard drive is off by default. 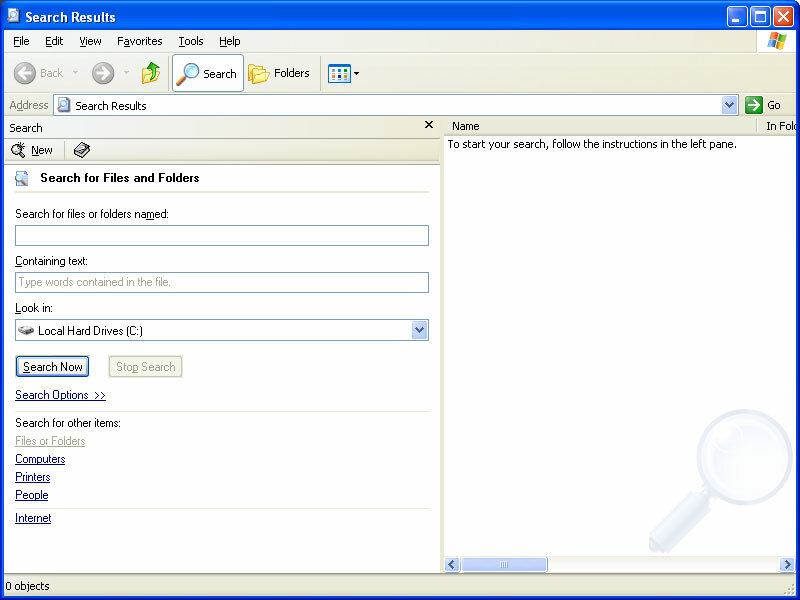 Scroll down to the bottom of the windows desktop search window and click on the “click here” to use Search Companion link at the bottom. If you did not perform the above step before the ShowStartSearchBand key will not exist – not to worry you can just create it by right clicking in that window and selecting New -> DWORD Value and giving it a name – then follow the next step. Simply double clck the key to edit it and change the value to a zero, click OK and close the registry. From now on when you use windows search it will be the classic windows search which will not require indexing of files and you’re back to finding files and strings in files, like the good old days. Enjoy! Thanks to John for pointing me in the right direction. All the other registry hacks I found on the web didn’t work at all. Note: as always, making registry changes could break your system if you’re not careful or know what you’re doing – so if you’re concerend ask someone to help you and always make backups of your registry before making changes. This entry was posted on Monday, 3 November 2008 at 09:37 and is filed under General, Technology with tags 2000, classic search, office 2007, registry, search, Technology, windows, xp. You can follow any responses to this entry through the RSS 2.0 feed. You can leave a response, or trackback from your own site. 10 stars! This is the best form of ‘how-to’ which guides even the novice (like me) thru the ‘regedit’ fears to get the job done! Fantastic! This is great for XP, but for Windows 7 we are left out in the cold! 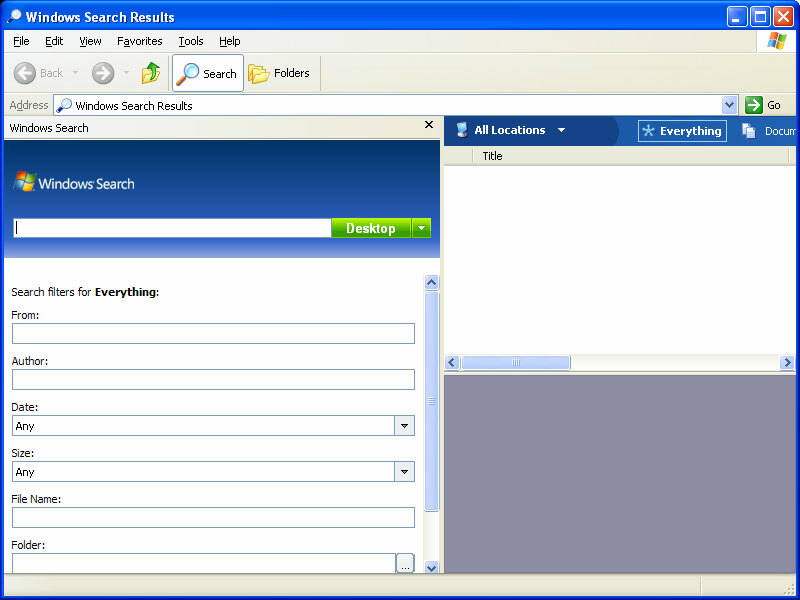 I’ve tried everything but in the end had to use the FileSearchEX tool on Windows 7 to give me back my classic search experience. Several other sites said it could not be done. Worked great! I hated new indexed search. This is an easy setting.